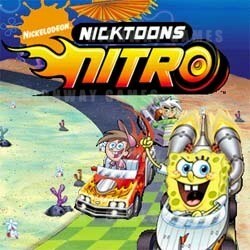 Nicktoons Nitro, a new arcade-exclusive racing game, has been launched. The game features characters from Nicktoon TV shows including Spongebob Squarepants, Invader Zim and Jimmy Neutron. The game was developed by Raw Thrills, with the Chicago Gaming Company handling the design of the cabinet. "The design team captured all the excitement and fun of the Nicktoons characters and packed it into a new driver that appeals to everyone. The only place you can experience this new original title is in the arcade!" said Eugene Jarvis President of Raw Thrills. Nicktoons Nitro includes seven playable characters, including one un-lockable character. There are seven different courses to race on, all of which are inspired by the Nicktoons TV shows.